For over 30 years Hot Rize has defined Colorado's traditional yet progressive bluegrass sound. Over the course of 5 classic studio albums they earned Entertainer of the Year at the inaugural IBMA awards, a Grammy nomination, and numerous #1 tracks on bluegrass radio. Three years after the passing of original guitarist Charles Sawtelle in 1999, the band reorganized with brilliant guitarist Bryan Sutton for a few select shows a year. Now with a new album and full tour schedule, Hot Rize return to the festival they hosted from '85-'89 for their 17th RockyGrass. 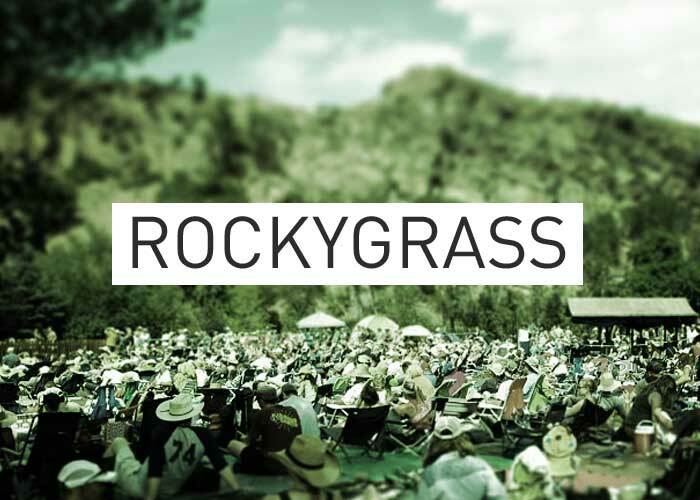 RockyGrass Archives 2014: Red Knuckles & the Trailblazers showed up half way through the Sunday evening set of Hot Rize. As Hot Rize relaxed in their luxury tour bus, Red Knuckles & the Trailblazers spread a little Country into the Planet Bluegrass grounds.